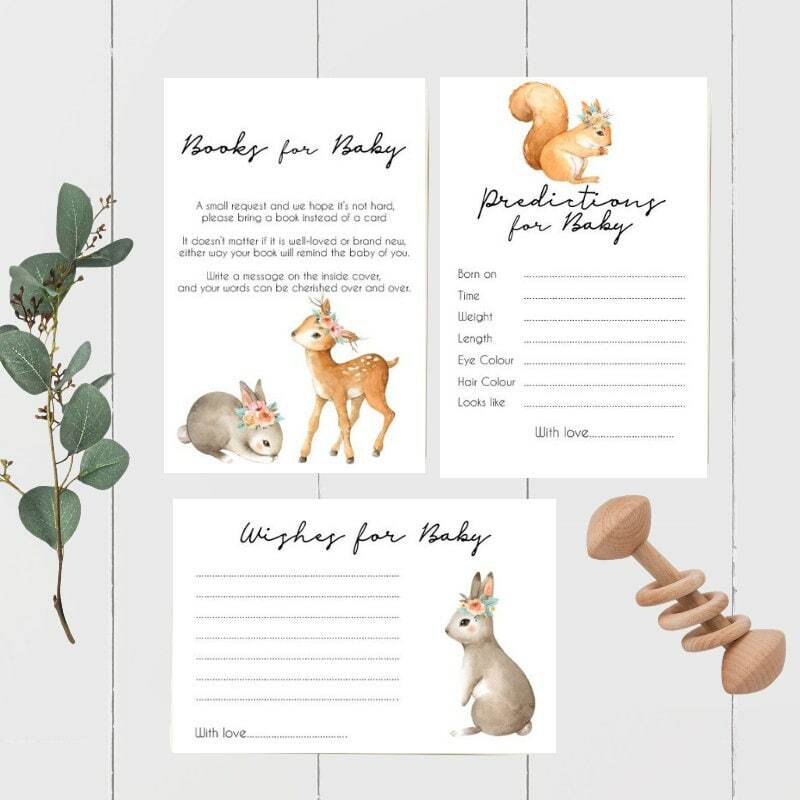 This listing is for 20 Books for Baby Cards + 20 Wishes for Baby + 20 Predictions for Baby with adorable woodland animals on them. The cards are printed on smooth plain white 250gsm paper stock. They are white and blank on the reverse.